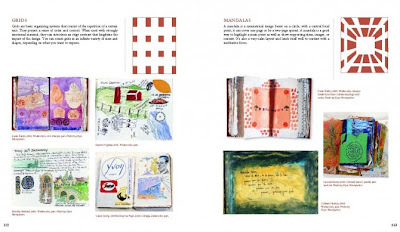 Have you read or do you own either of Gwen Diehn's journal books, The Decorated Journal or The Decorated Page? If not, you might want to seriously consider adding this newest version to your personal art library: The Complete Decorated Journal. 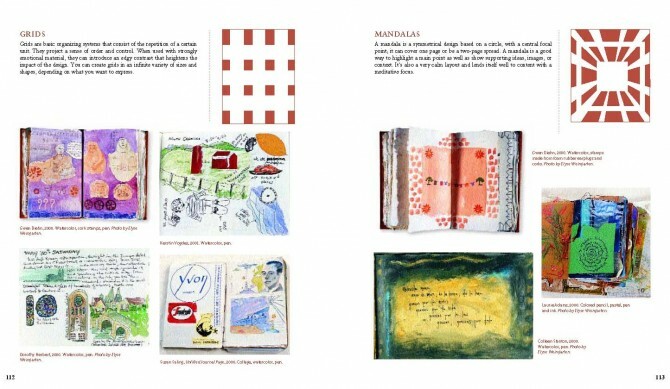 This new book by Lark Publishing combines the two previous books (with a newly edited flow so they truly become one book, and adds new techniques, a new project, and 13 artist profiles with a gallery of their work. This book is an incredibly inspiring reference work. Besides the usual materials and tools guide, you'll find page layout ideas, tips for a building layered pages, information on specific genres of journals, and many many creative techniques for personalizing your journal. 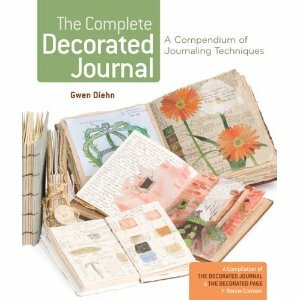 Do you want to use a pre-made journal or build one from scratch? Both are covered in this fabulous book. As for me, I can't wait to try a little more paint and a little less structure!